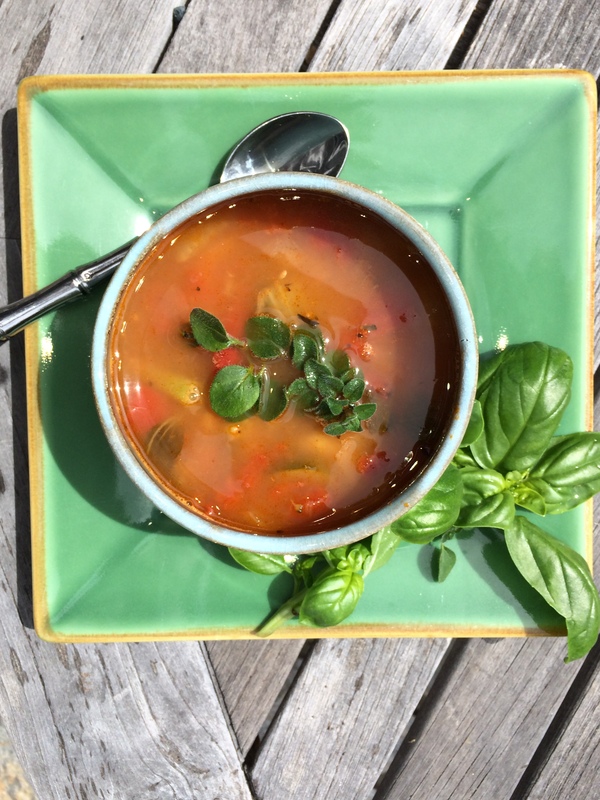 If you want to prepare a low-fat, quick, healthy minestrone with local, seasonal veg (CSA box, garden, farmers’ market), try this simple base and then add what you have. Over the years I’ve used carrots, butternut squash, kale, zucchini, chard, cabbage, green beans, fava beans, corn, peas, cauliflower, bok choy…you get the idea, and any combination of these create a healthy, hearty, quick soup. Sip: Try a full and flavorful red such as Wild Horse Peak San Giovese from South Coast Winery. Begin by warming a soup pot and then a couple of tablespoons of olive oil in it over medium-high heat. Add half a chopped onion (approximately one cup should do it) and sautee until translucent. 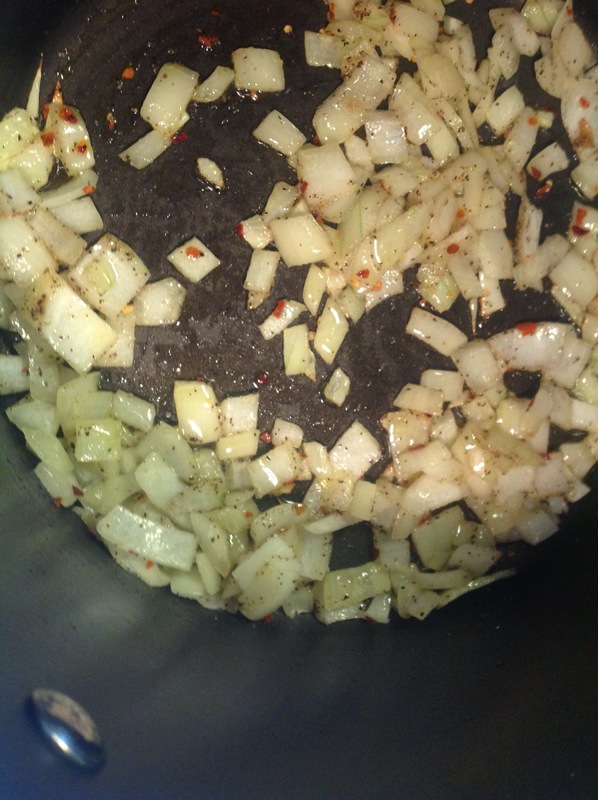 Season the onion base with salt, pepper, and red pepper flakes if you like some heat. Add one 28 oz can of diced, fire roasted tomatoes. Add one 32 oz box of chicken stock. 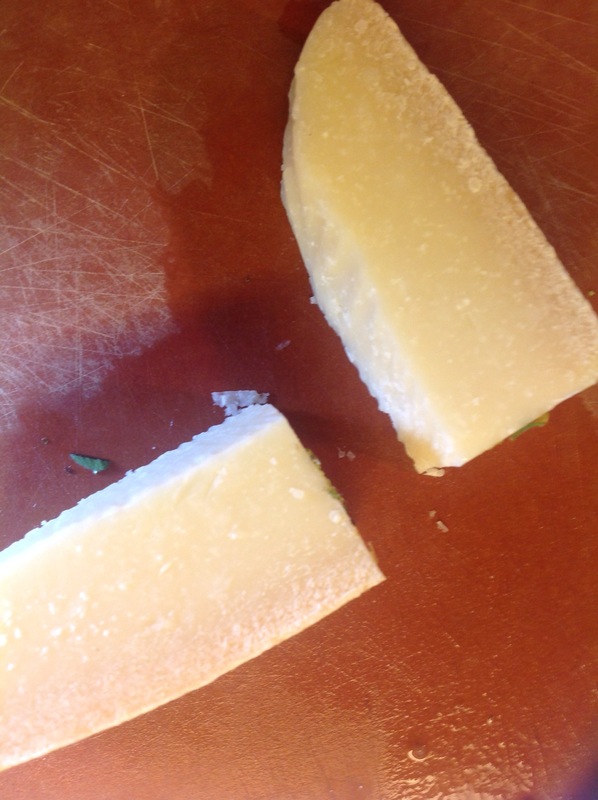 If you have one, add a rind of parmigiano reggiano cheese for delicious flavor. 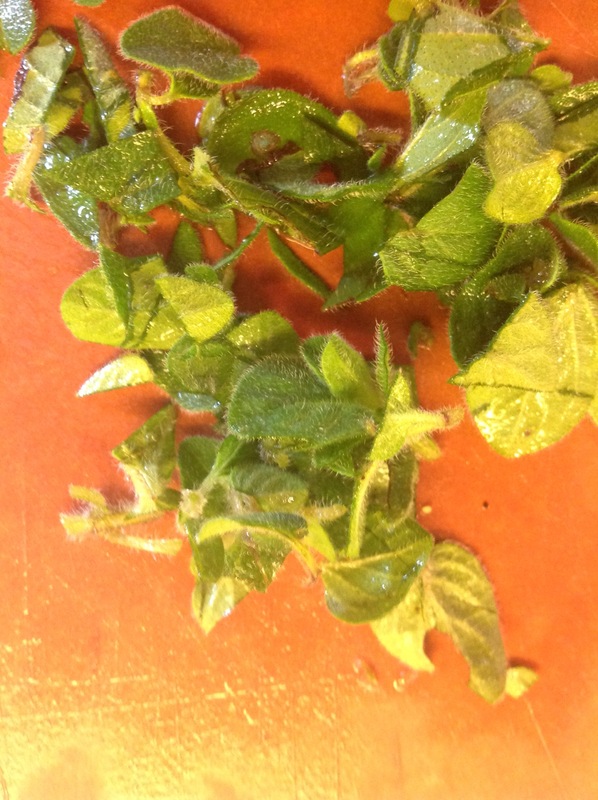 Chop and add a couple of tablespoons of fresh herbs you have available: oregano, basil, sage, thyme–whatever smells good to you and is plentiful in your herb garden or CSA box! Reduce heat so soup simmers and let the flavors meld for about 20 minutes. Add 1/2 cup of small pasta. 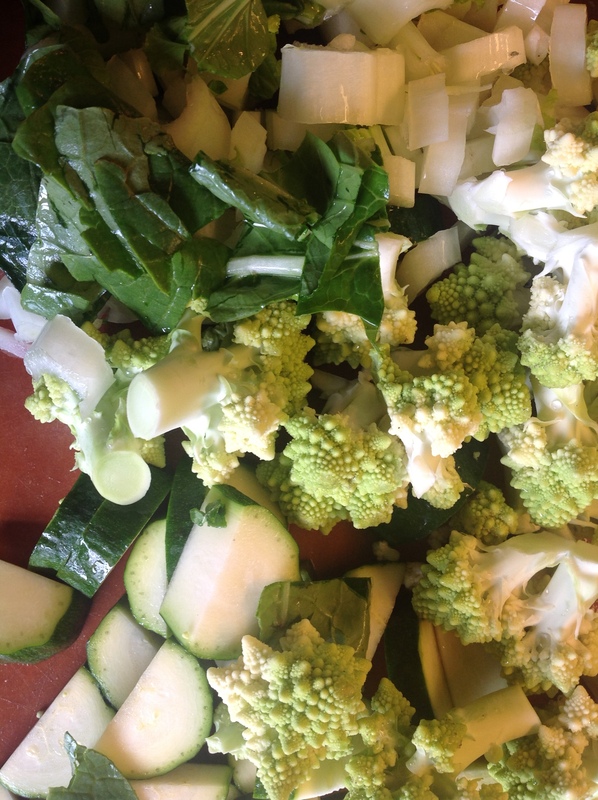 After the pasta begins to soften, add your softest veg (frozen peas, rinsed cannelini beans, etc.) just to heat through. Check and adjust the salt and pepper if you wish. Ladle soup into mugs or bowls and serve. The minestrone is delicious with a crusty baguette and fresh garden salad, or a quesadilla or grilled cheese sandwich, or croutons and love. Enjoy.